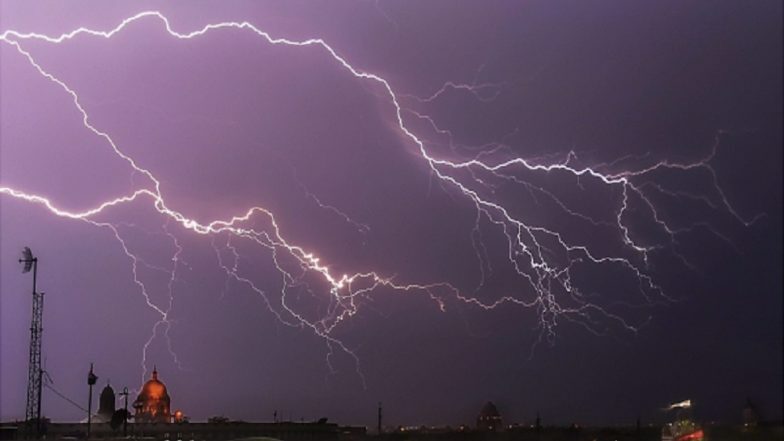 Kathmandu, April 1: At least 31 people have been killed and hundreds injured as a violent thunderstorm lashed through parts of southern Nepal, authorities said on Monday. According to authorities, most of the victims were from the country's Bara district. The storm accompanied by hail and heavy rain struck the two districts on Sunday night, the Kathmandu Post reported. The storm destroyed houses, overturned vehicles, uprooted trees and brought down power lines in Bara and Parsa districts. The casualties included passengers in a bus that was blown off a road, witnesses were cited as saying by the BBC. Massive Storm Lashes Nepal, 25 Killed, 400 Injured. The victims were either killed after getting buried under rubble of houses and metal roofs or due to coming in contact with live wires. Kusum Kalu, 70, told the BBC she had escaped death in Bara district "by a fraction of a second" when the storm struck. "I was about to leave the house and just as I opened the door the roof of the house fell down. I don't think I would have survived had I already gone to bed or been a fraction of a second late to open the door." Draupadi Devi, in Balbariyam, Bara, said every house in her village had been damaged. "We were five people at home at that time. A wall crumbled and buried us. We somehow managed to get out of the rubble." Rescuers in Bara district said emergency aid was desperately needed. "The storm destroyed everything in its path. Houses have no roofs and trees are all down," said volunteer Prakash Tharu. Search teams were unable to reach some areas because roads were blocked by fallen trees and other debris. The police warned that the death toll could rise. Nepali Prime Minister K.P. Sharma Oli said the government was doing all it could for the injured -- ranging between 400 to 600 people. An emergency meeting held in Bara on Monday decided to provide 300,000 Nepalese rupees each the victims' families along with a relief package including tents, food items and medical supplies. The Parsa district authorities urged the Nepal government to declare a state of emergency.